Angelo, We were at Carmine's last week, You just blew us away! You have an absolutely wonderful voice, so full of soul. We just had to see you again last night at Antonio's. We are now full fledged groupies. See you soon. Angelo,WOW what anight (7/5). We could have kept going for hours. You had my 85 year old mom dancing, laughing, & crying. Father Raneri (bless his soul) was trying to sing along with you.Then as usual our beautiful wedding song . BY the way after we left I came home and played your entire CD. It was a funfilled night that Rose & I really needed. Hi Angelo - it was a pleasure meeting you and Johanna last night at Twisted Vine. You are an incredible talent - not only did Amy and I have a wonderful time but I believe we've made some new friends. Thanx for making our anniversary special and for sharing the mic. 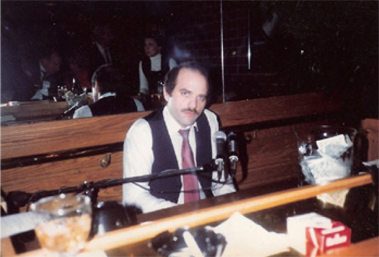 Angelo has been studying music and voice for many years. He has been under the tutelage of the great opera tenor and Broadway star, Gary Harger. Angelo has performed at Foxwoods Resort and Casino, CT; Russo's on the Bay, Howard Beach, NY; the Feast of San Paolino Di Nola & Our Lady of Mt. Carmel, Brooklyn, NY; the Feast of San Pasquale Di Baylon, Howard Beach, NY; the Feast of San Gennaro,Little Italy, New York, NY; and many other festivals throughout the tri-state area as well as summer concerts; Center Stage Theater in Shelton CT along with the restaurant/nightclub circuit of NY, NJ and Connecticut. Angelo has also appeared in several Doo Wop Spectaculars in NY. Angelo has appeared in movies including Spielberg’s War of the Worlds and ESPN’s The Bronx is Burning. 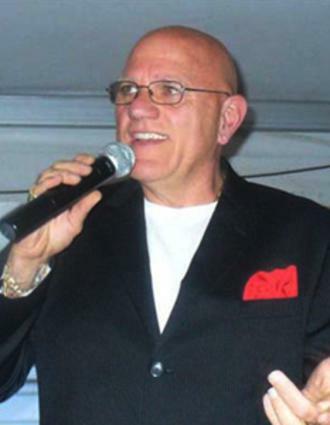 Angelo has appeared with Joe Favale & The Emotions, John Kuse & The Excellents, Emil Stucchio & The Classics, The Paragons, The Dubbs, The Yesterdaze and Larry Chance & the Earls. The Duprees, Barbara Harris & the Toys. Shirley Alston Reeves of the Shirelles, The Fireflies, The Tymes, The Knockouts and Linda Jansen, original lead singer of The Angels and Doug McClure of the Flamingos. ​ Angelo is originally from Brooklyn, NY and currently resides in CT.